Discussion in 'Web Development and Templates' started by poule_over, Nov 8, 2018. Tlaloc, yoel stevanus malkhi, Cleiton Sousa and 8 others like this. App Builder is a complete visual environment that allow us to create, with or without programming knowledge, HTML5 and hybrid applications for the web and mobile devices. 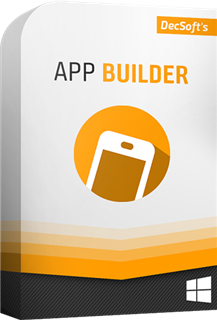 App Builder provide us dozens of visual and no visual controls ready to be placed in the application's designer. Simply drag and drop the control that you need into the designer and then place it where you wanted. Talking about Apache Cordova™, App Builder prepare the appropiate configuratoin file as well BAT files ready to be executed to compile our applications for Android™ and other supported platforms. App Builder is a complete development environment. Can creates HTML5 applications ready to be executed in desktop and mobile browsers. In addition with Apache Cordova™, we have all the required stuff to create applications to other platforms like Android™. Avoid to use some default HTTP headers (like Pragma) that App Builder set by default in all our app's HTTP requests. Certainly, in some specific cases, a server can refuse to give us the right response if we include the Pragma HTTP header. This all is related with the CORS permissions in the server, which must specifically allow the Pragma HTTP header in order to provide the right response. We can continue use the Pragma header if needed, but we must specify it in every HTTP request using the SetHttpHeader action, for example. Tlaloc, murphyz, yoel stevanus malkhi and 12 others like this.